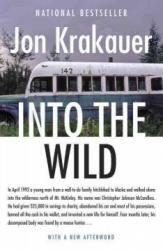 September 1992, a young man named Chris McCandless is found dead in the Alaskan Wilderness and Jon Krakauer is determined to sniff out every clue as to why. Into the Wild follows the life of Chris McCandless, a young man who dropped everything and took to the road, and how he even ended up in Alaska in the first place; and although he is dead, the trail and influences he left behind live on in those he met. The story jumps around occasionally, but it is just extraordinary to me how a single young man was able to travel almost all of the United States by foot and hitchhiking, and then end up in Alaska where he lived in the Wild until August 1992. Krakauer interviews the people who Chris has interacted with, and all of them say that Chris changed their life for the better, even those who he only shared a car ride with. 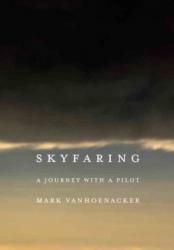 I personally enjoy this book because it makes you feel as if what he did was amazing and if you, too, need an adventure like that in your life. I definitely recommend this book to all readers since every single person can take something from this book, negative or positive. 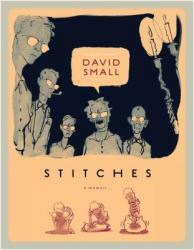 This is an autobiographical graphic novel of the author, David Small. The book focuses on his early childhood to early adulthood. It shows the progression of his relationship with his father, a doctor, and his mother, a homemaker in a very reserved and controlling dysfunctional household. As a young man, he ends up with a tumor on his neck that is removed but damages his vocal cords, and doctors say he won't speak again. 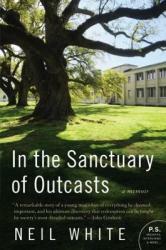 Along the way, he discovers who his family and himself are and finds out more than he bargained for. This book is very dark and the color scheme is perfect for the tone of this book as well, using black, white, and shades of gray primarily. The art is contemporary in its quality and color scheme but has a more retro feel to its style of art as well, especially in the faces, which gives it the feel of the era the book was set in. This book is the type of book you would be able to, and due to its page turn-ability you likely will, finish in one sitting. It's easy to get invested and feel all the emotions and heartbreak of the author along the way. It can be a bit hard to read since it is darker in its focus and has a realistic feel. It also has a few twists and turns along the way which help keep you even more entranced by the book. I really enjoyed reading it as a change of pace for myself since I typically deal in a bit lighter fair in terms of topics. It addresses issues of mental illness and controlling behavior well without being preachy or self pitying. I might not read this book again but I certainly won't forget it either. If you like dark, realistic graphic novels, this just might be your next favorite book! I finished this book about 3 weeks ago so my review is clouded by the passage of time. 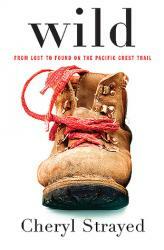 This book is written from the perspective of an inexperienced hiker embarking on a harrowing adventure. I often found myself wondering why she didn't just give up; how she could possibly have survived hiking in the snow and ice without succumbing to hypothermia or sustaining injury; how she could continue hiking on severely damaged feet; or how she could have hiked for an extended period of time without encountering the powerful thunderstorms so prevalent in the high country. Also, it was a bit long for my taste. Still it was very good and I recommended it especially to hikers and outdoor enthusiasts. Diana Guerrero is a well known actor for her features in Orange is the New Black. 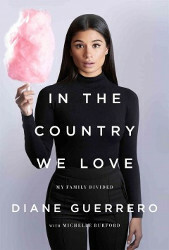 Wanting to know more about an actor's background is what a normal person loves to find out, but Guerrero's family background is lonely and sad. Brave isn't the only word you can call Guerrero because she is more than that. Only being 14 when her family was deported, she had to live her life without any care from other people. This book isn't about her funny and stern character in Orange is the New Black but about how real the world actually is. She breaks down the wall most people don't see and shows her audience how tragic the world actually is. She wants to fight and succeed. She wants everyone to know that each individual is human and we all have feelings. She wants justice for her family. Marley and Me is an amusing nonfiction novel that captures all of the adventures of John Grogan as he gets his dog Marley: a canine intent on misbehaving and causing as much destruction as he can. Marley raided the trash, stole and swallowed a gold necklace, closed a public beach, got kicked out of obedience school, and was the Grogans' best friend. 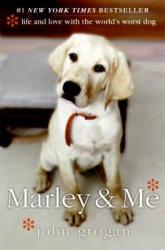 Marley and Me is filled with humor, compassion, and love for the chaotic and affectionate dog. 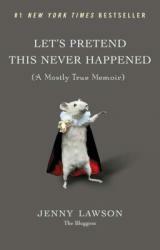 It's a very well-written book, and now I feel better about my own dog, who enjoys chewing the couch. A Work in Progress is an inspiring and well thought book for his targeted audience. Connor Franta is a well known YouTuber and this book is a memoir of his life. 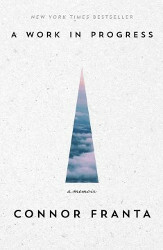 It goes in depth about his past, present, future, fears, etc. Connor is trying to find himself and he tells his readers to do the same. The concept of this autobiography is beautiful because he reaches out to the viewers and audience who have the same or similar struggles like him and helps the people who are having a hard time finding themselves in the world. Reading this book rethinks how you want to live your life and reach for your goals. 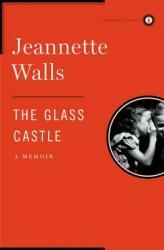 This memoir follows the tumultuous childhood of the author with upheaval and hardships almost too extreme to believe. Through living in extreme poverty, being in real danger medically, emotionally, and physically, Jeannette expresses her constant determination and shows how she copes with and still has deep love for her dysfunctional family. 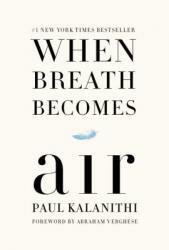 I finished this book very quickly because it is very hard to put down. 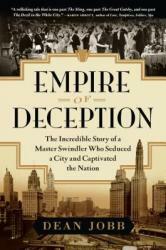 how good this book is because once you realize it is nonfiction, it gives the book a whole new meaning. 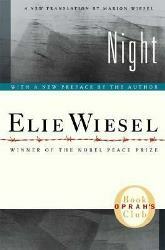 I highly recommend this book to everyone, but especially those interested in the Holocaust or books about it such as The Diary of Anne Frank. I picked this book because I love autobiographies about the Holocaust and it just really shocked me at how life for Jews during that time was. Elizabeth Gilbert has everything a normal person wants: loving husband, country home, a great career, and much more. But for some reason she was not happy, instead she felt confused and lost in her own world of thoughts. So, through a painful process, she leaves behind everything (her marriage, job, home) and plans a year round trip to Italy, India, and Indonesia, hoping that traveling to these places will help her find herself. I began reading this book this year for a school assignment and I have to say I didn’t like it from the cover and the first few pages. What made it interesting was that Eat, Pray, Love is an auto-biography by Elizabeth herself about her journey for self-actualization and also that you are able to learn a little bit more about the culture of these countries. 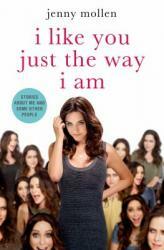 I recommend this book to those who are having trouble about knowing who they are in the world, but while I was able to be intrigued by the book and it did grab my attention, let’s just say it didn’t have me standing on the edge of my seat and isn’t one of the best books I’ve read this year. Anyone who knows me may realize that this is not my normal topic of interest. 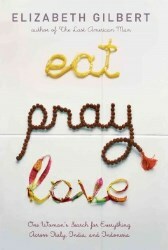 However, I do enjoying reading about different perspectives and life experiences from mine. That said, Chris Kyle and I have almost nothing in common as far as beliefs and interests go, but we do have love for country and loyalty to friends and family in common. Of course, he's about as tough as they come. Way tougher than me. I'm sure I would not have been able to do what he did even if I had wanted to. However, I found as I was reading this book that Kyle had a lot of interesting observations about the Iraq War from a front lines perspective. The stories were intense and engaging. I didn't get into the weapons geekery at all, but I'm guessing his target (har!) audience did. 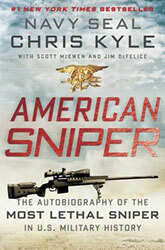 Really, a very good book about the front lines experience of a Navy SEAL.